You may have heard about them. You may even have seen them. At least on photographs. Yet most people outside of Bali know surprisingly very little about Ogoh Ogoh. 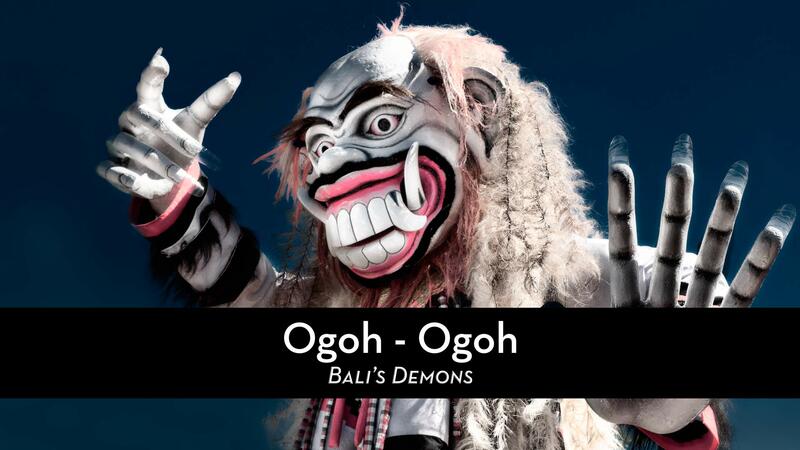 So, I thought an article about Bali’s Ogoh Ogoh would be in order. But before we dive in let’s see some of those ‘lovely’ Ogoh Ogoh first. So what on earth are Ogoh Ogoh ? Why are they made ? What purpose do they have ? What happens with them ? Where can you see them ? Let’s examine those questions one by one. And be prepared for a couple of surprises. Essentially, an Ogoh Ogoh embodies all that is evil, all that is bad. All that is to be feared. 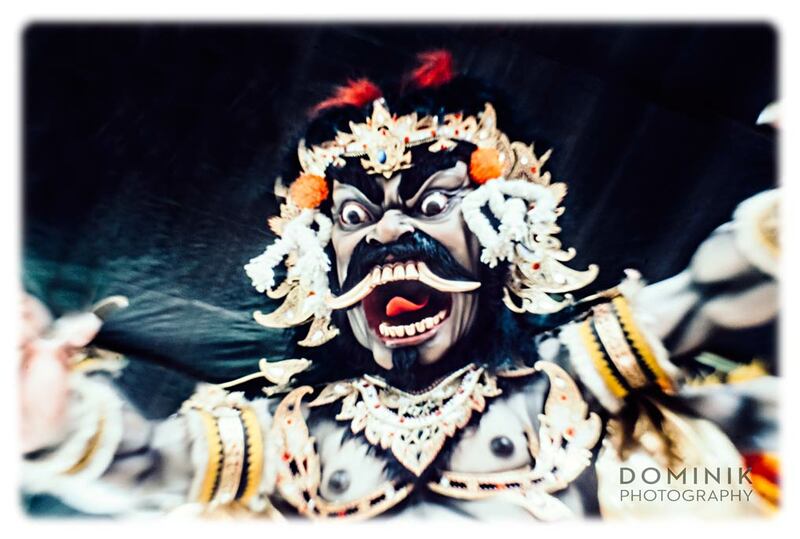 The tradition is like everything in Bali rooted in Hindu mythology, but it is not strictly a religious pursuit. How much of this is religion and how much is folklore is hard to pin down. Opinions on this vary, even among the Balinese. 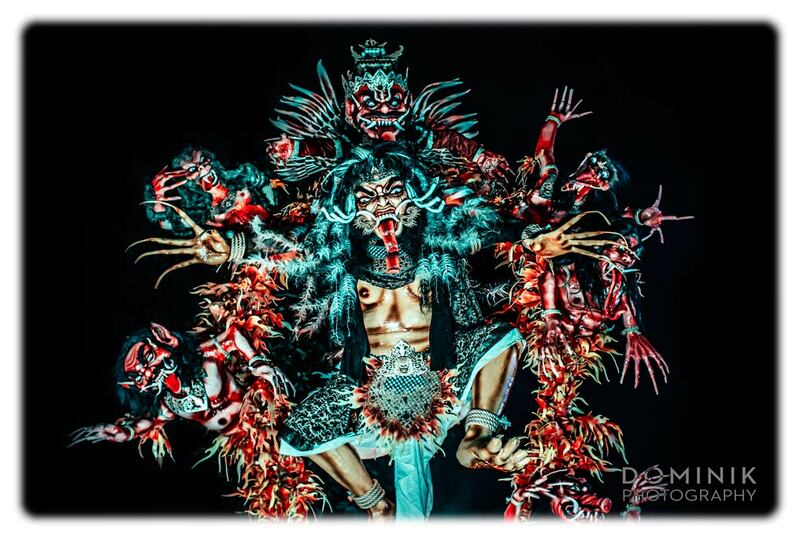 Ogoh-Ogoh figures are made in weeks leading up to Nyepi, which is Bali’s most important religious event. As significant as Christmas for Christians or Idul Fitri for those of Muslim faith. It can take up to one month or even more to build an Ogoh Ogoh. Ogoh Ogoh – an ancient tradition ? If you think that Ogoh Ogoh are an ancient Balinese tradition which has been passed down from generation to generation I am afraid I have to disappoint you. The Ogoh Ogoh tradition was introduced in the 1970ies and 1980ies. Its exact origin is disputed but it is generally believed that it was born out of intent to get the younger generation involved in religious pursuits. As such the making of Ogoh Ogoh was initially done by the youths of a village. But in many places that has changed and the older generation is now also involved. Consequently, the cost for making those figurines can run into several thousands of dollars and I heard some could be as expensive as 5000 USD to make. What are Ogoh Ogoh made of ? Initially, they were made of papier-mâché applied onto a bamboo, wood, or wire mesh frame. But increasingly Styrofoam and other materials are also used. Once the figure is shaped comes the ‘fun part’: coloring the whole thing. Putting hair and accessories on and generally decorating the Ogoh Ogoh. Here the Balinese show their full potential as master artisans. Their creativity knows no limits. I won’t try to describe those wonderful creations, see my pictures and you’ll get the idea. Nowadays some Ogoh Ogoh even have electricity built in and the eyes of the figurines are lit by light bulbs. It’s an evolving art form. And it is interesting to see where it will go in years to come. 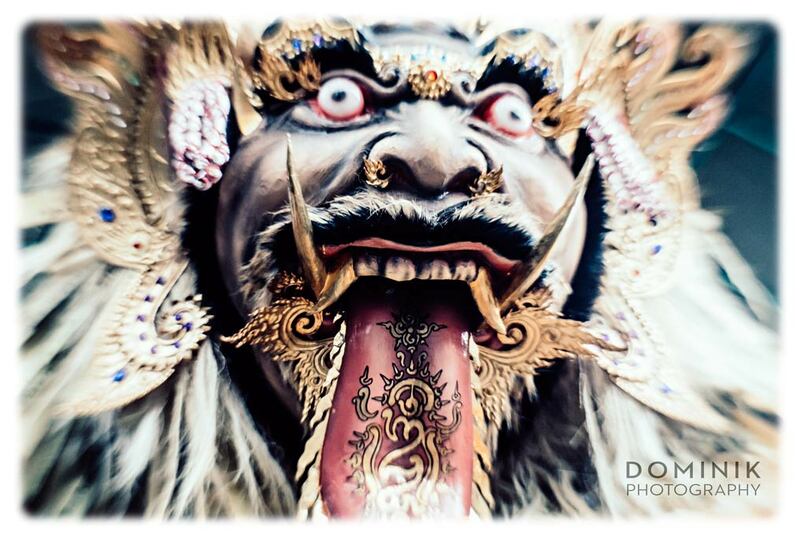 Traditional Balinese letters on the Ogoh Ogoh’s tongue. You will not find Ogoh Ogoh anywhere outside of Bali. Over the years the pursuit making Ogoh Ogoh has evolved from just being a fun activity into a highly competitive ‘art form’. Villages in Bali strive to have the best Ogoh Ogoh. And they go through great length to achieve that. In the evening often the Ogoh Ogoh from neighboring villages are brought to one large common space where they are paraded. Judges will award the best Ogoh Ogoh. For the villagers, it is highly prestigious to win such an award. 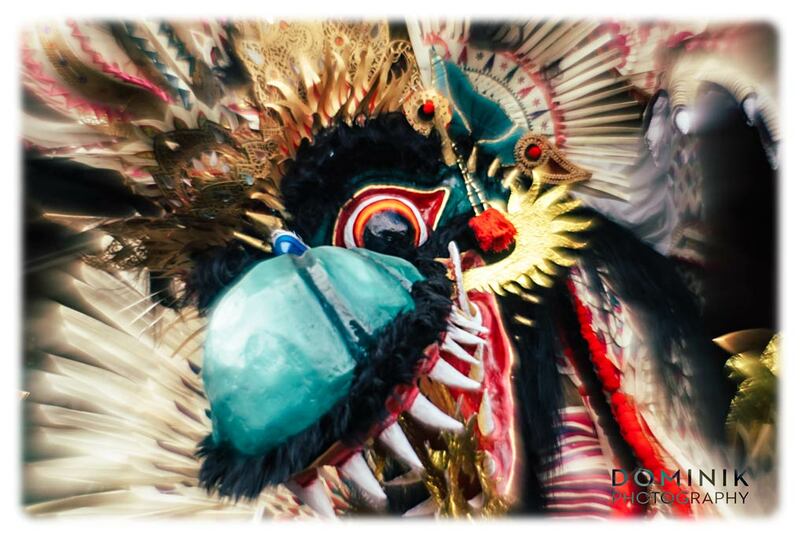 Most Ogoh Ogoh in Bali are burned after the parade. But I have been told that some being sold on to other villages or wealthy individuals. Burning this highly artistic figures may seem to be a waste for outsiders. But there is a reason for that. 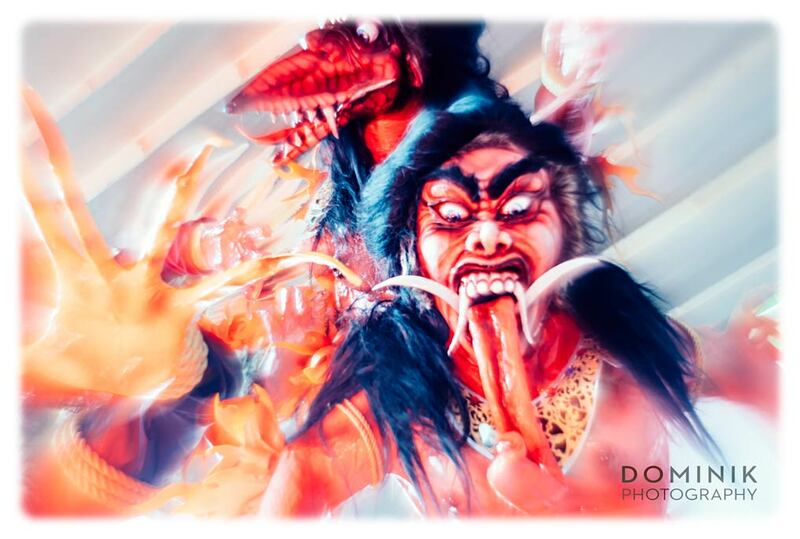 Remember Ogoh Ogohs represent evil spirits and the ‘darker aspects of existence’. Thus burning them signifies the win of good over evil. Also as good as those Ogoh Ogoh figures look they are usually not built to last. So they would anyway within a rather short time deteriorate and fall apart when exposed to the elements. With all that in mind burning them actually makes sense, doesn’t it ? Where & when to find Ogoh Ogoh in Bali? You need to come to Bali at the right time. Usually, the Ogoh Ogoh are only ‘on display’ for one, two days. Whereas, during the time when they are built most Ogoh Ogoh are more or less covered. 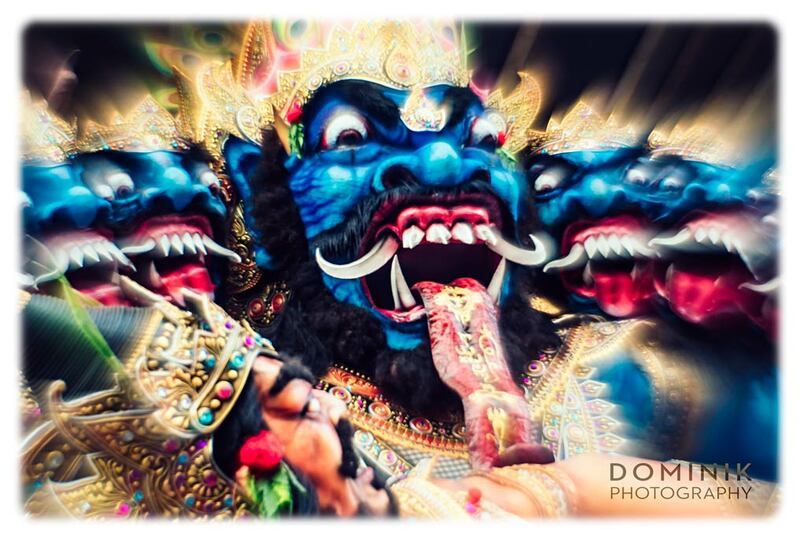 So actually the only day, when you can see those Ogoh Ogoh in all their glory, is the day before Nyepi. FYI: Nyepi is the day of silence. If you come and tour Balinese villages around 2 weeks before Nyepi you can see in many villages how they are made. But as I mentioned above – they are mosly covered during the time they are built. Come to see Ogoh Ogoh is on the day before Neypi. Since the traditional Balinese calendar follows a lunar calendar it falls on a different date every year. But just google for Neypi and it won’t be difficult for you to find out when the next Nyepi will be. For the rest of the year, you won’t see any Ogoh Ogoh in Bali. 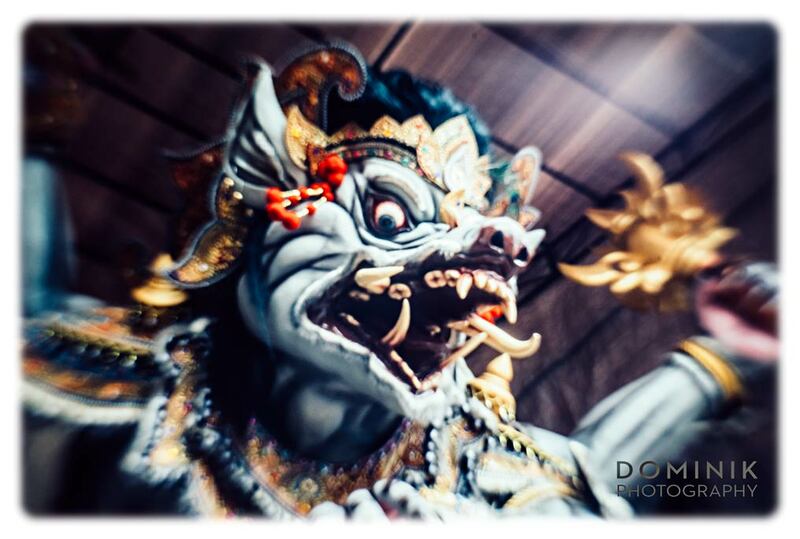 Occasionally Ogoh Ogoh don’t get burned on the eve before Nyepi and remain on display for a few weeks after Nyepi. But not many. 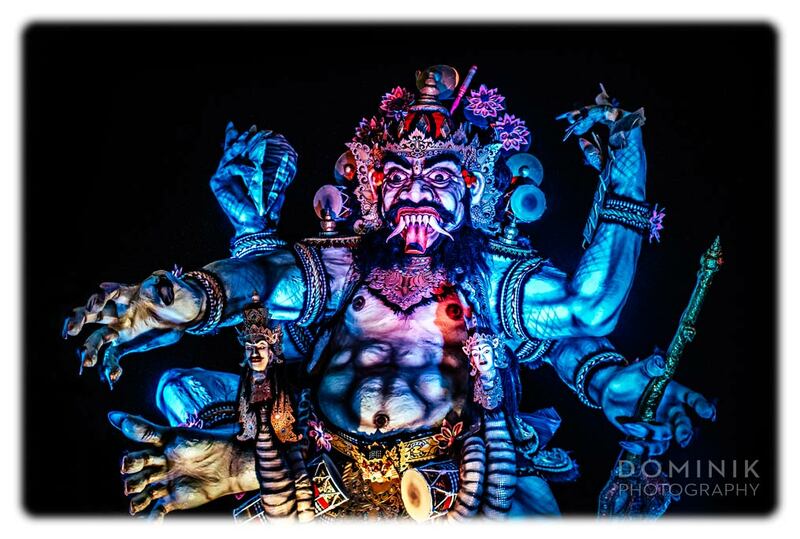 You can see the Ogoh Ogohs throughout Bali. As a rule of thumb you can say: the more affluent an area in Bali is the better and more grandiose the Ogoh Ogohs will be. Best is to stay in the South of Bali. But I would not be able to point out one particular village or place. Too many good ones. Ogoh Ogoh at night when they are paraded. You should definitely bring a zoom lens. 24-70 or 24 – 105, even a 70-200 could be a very good option. Because most of the time you won’t have the freedom to choose the ideal distance. And you will need all the ‘zoom freedom’ you can get. If you are ‘serious’ about photographing Ogoh Ogoh it is best to cruise around in the more rural areas and through villages. In my opinion, you are much better off using a motorbike than a car to move around. You will also find Ogoh Ogoh in touristy areas like Kuta, Legian, Seminyak, etc.. I personally avoid the evening when the Ogoh Ogohs start to move around the village. Because it gets very crowded and I am not a ‘crowd person’. It also would hurt my heart seeing something as beautiful as an Ogoh Ogoh being committed to the flames. Even though the Ogoh Ogoh tradition has a religious component to it I would not know of any restrictions that apply. Of course, you won’t be able to climb on an Ogoh Ogoh. But you can go as near as you can and I have never encountered any restrictions. The Balinese tend to be very proud of their creations and there is definitely a ‘show-off’ element. If somebody asks you for money for photographing politely decline and move on somewhere else. If you plan on also photographing the Ogoh Ogoh parade in the evening better bring a fast lens ‘coz your flash won’t get you far. I found photographing Ogoh Ogoh rather difficult because it is usually hard or impossible to get unobstructed backgrounds. Most of the time you will have buildings, electricity cables and other things providing for a rather ‘messy’ background. 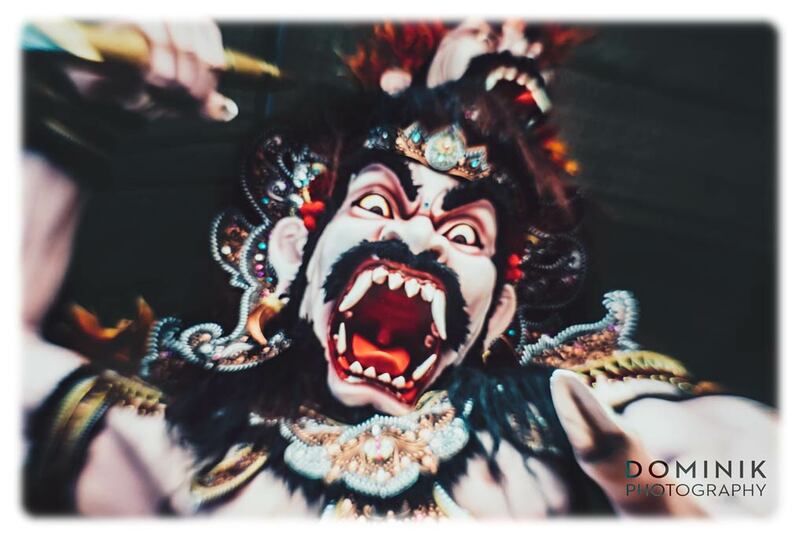 If you are interested to join me for photographing Ogoh Ogoh and Melasti proceedings next year please drop me an email to enroll. 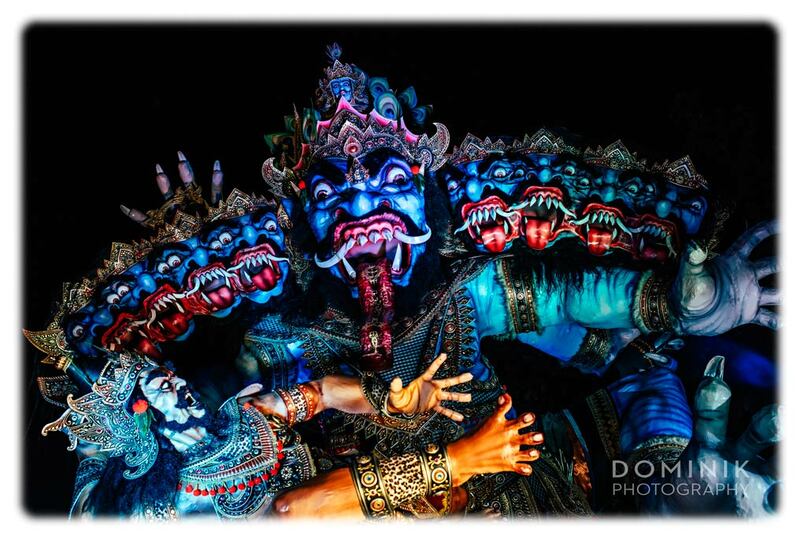 Well, I hope that after reading this article you have a better idea about the Ogoh Ogoh tradition in Bali. You can learn more about the background of the Ogoh Ogoh tradition in Bali at this Wikipedia article.